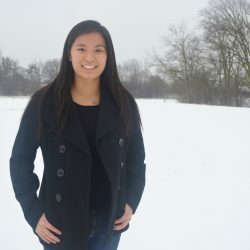 Belicia Tan is a graduate student at Columbia University studying Healthcare Administration. She was a product development intern at a biotech company in Hong Kong last summer and worked with colleagues from over 15 countries. She also is the co-founder of a university chapter of a non profit organization called CURE, that participates in philanthropy to fund medical needs of children in underserved countries. Belicia has hopes to use her degree to make healthcare more affordable and accessible. Outside of academics, Belicia enjoys hiking at national parks, travelling, watching sports and trying out new sports such as broomball. She is excited to work with a group who is passionate for genetics!